Anthony J. Lana was born and raised in Buffalo, NY. He graduated from Canisius College in 1989 with a Bachelor of Arts in English. After college, Mr. Lana entered law school and obtained his Juris Doctor (J.D.) degree from the University of Akron in 1992. That same year he took and passed the New York State Bar Exam and relocated back to the Buffalo area. In 1993, Mr. Lana was admitted to practice in NYS and the U.S. District Court for the Western District of New York. In 1993, Mr Lana began his career as a criminal defense attorney. He has experience working at every level of the criminal justice system ranging from vehicle traffic matters to homicides. This broad exposure has enabled Mr. Lana to gain great knowledge of the criminal law process at all levels. 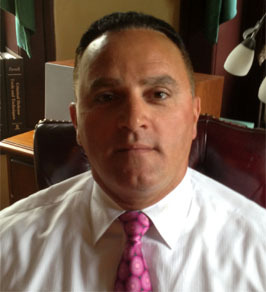 With over 26 years experience, Mr. Lana has formed many valuable friendships with prosecutors, judges, clerks, bailiffs, corrections officers, probation officers and judicial assistants that continue to be of great benefit to his practice today. Mr. Lana has established a remarkable criminal law practice with a proven track record of success. Among his many professional accomplishments, Mr. Lana has been inducted into the National College for DUI Defense. 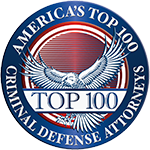 The NCDD is the only organization in the country accredited to certify lawyers in the DUI Defense Law specialty practice area. Members of NCDD have argued and appeared before the Supreme Court of the United States and have authored and co-authored amicus briefs. Mr. Lana has been selected as a New York State Super Lawyer since 2012. Super Lawyers is a rating service of outstanding lawyers from more than 70 practice areas who have attained a high-degree of peer recognition and professional achievement. The selection process includes independent research, peer nominations and peer evaluations. Less than 5 percent of the lawyers in New York State are named to Super Lawyers. In 2014, Mr. Lana was awarded the Top 100 National Trial Lawyers. The National Trial Lawyers is a professional organization composed of the premier trial lawyers from across the country who exemplify superior qualifications as civil plaintiff or criminal defense trial lawyers. This national organization provides networking opportunities, advocacy training, and the highest quality educational programs for trial lawyers. Mr. Lana resides in Amherst, NY with his wife Kim and their two children. They are parishioners of Christ the King Church in Snyder. Mr. Lana is completely fluent in Italian. Let criminal defense attorney Anthony J. Lana handle your case with diligence, persistence and personal care – where your matter will be kept discreet and confidential. Copyright 2019 © Anthony J Lana Law | All Rights Reserved.